You will find a large selection of paintings, gift items, prints, and cards that feature Angel's unique ability to capture unseen concepts and make them visually consumable. 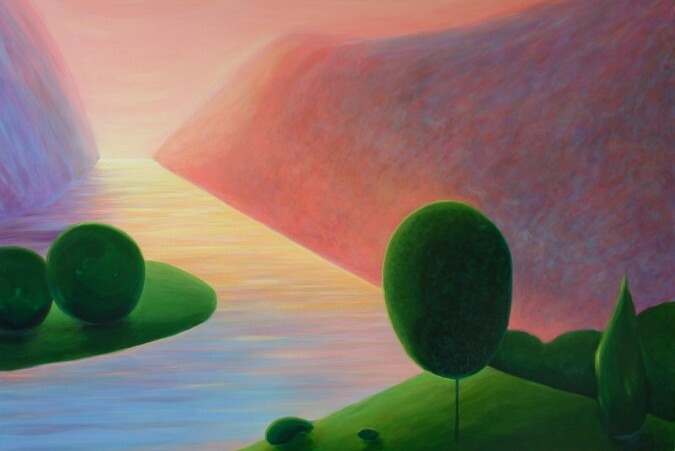 She often paints lyrical landscapes using evocative color to allude to idyllic beauty. Writing and speaking developed out of her deep desire to communicate. Speaking is a natural overflow of Angel's passion to communicate, utilizing both her visual vocabulary and words. Open most 1st Fridays 5-8pm, by appointment, and special events. Inquire about speaking engagements.